The seventh proposition to my thesis goes back to the third, and responds to Alison Landsberg’s theory about prosthetic memory. While Landsberg suggests that prosthetic memories created through watching, say, a movie about slavery, can work like “real” lived memories. Such medially imbibed memories according to her do more than just create an image of what happened, or a memory of a cinematic narrative: the produce memories – prosthetic memories, that are artificial, can be put on or taken off, and are adjustable to the body that they are fitted to. Although I really see Landsberg’s point – in the age of mass media most of what we experience reaches us in mediated form, and those are often very visceral experiences that produce memories – the nuance that I would make to that, is that the ‘distance’ between the mediated event or experience and one’s own social, geographical and temporal location does matter a great deal. For instance, when I see Amistad or Twelve Years a Slave I do take in and assimilate a prosthetic memory of slavery, but it is not really a memory (rather than an artificial memory). However, when I see footage of 9/11, which I experienced as an adult, although I was thousands of miles away from New York, and didn’t even see the television footage on the day itself, it does work like a memory – as if I was there and had seen this happen in some more immediate sense than was the case. 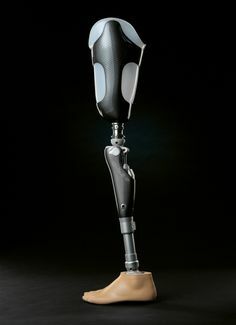 Which events can and can’t produce real prosthetic memories (constructs that function as memories, even if not directly ‘lived’) depends on the positionality of the person remembering.